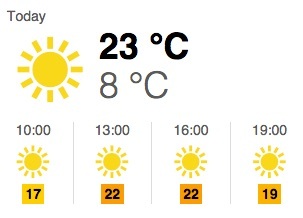 My wife and I moved from rainy London to sunny southern Portugal in 2010. Originally conceived as a way to document our adventure, the blog evolved into a place to provide useful advice to other people planning a move to a wonderful country, as well as providing a running commentary on the good times, trials and tribulations. In early 2015, with a new baby in tow, we decided (for various reasons) to move back to the UK. We now live in a seaside town in East Kent, but still travel back to Portugal sometimes to see family and friends. In 2018, after noticing there was still significant interest in the site, I undertook a major redesign of the site and have started to get new Portugal-based writers on board to freshen up the content and write new articles. An IT geek by trade, my life involves me wearing a range of occupational hats, ranging from web designer to writer, via server fixer and blogger. Check out the more from me page to hear about other ongoing projects. Receiving comments and discussion on my posts makes the time I spend on the blog worthwhile, so please feel free to contribute. I am also always happy to provide help and advice to anyone else contemplating a new life in the Portuguese sun – or a move back home. Its a bit of a scary time , but believe me, well worth it in the long run. Its been three and a half years now for us and I’ll never go back to uk (yuk) things get very tough sometimes moneywise, but so much other good stuff far outweighs the tough bits. Good luck in your new life and Boa Viagem. Thanks for writing this blog, really interresting!!!. We’ve got about a month to go, if everything goes well with the house sale. And I’m so nervous!!! I keep imagining any ache or pain is something mega serious and I’ll end up in the hospital or worse and won’t be able to go!!! It’s so good to read that there are other folks embarking on uncertain adventures at a later stage in life!!! I am looking for bloggers for the website http://www.expatica.com which is launching in Portugal. I really liked your blog, and was wondering if you would be interested in helping us out; anything from writing a regular blog on the site to filling in a quick questionnaire on your experience in Portugal. Hi There! I’ve just found your blog on british expats and I’ve enjoyed reading it. I’d like to know if you are planning to work? We have been to a some good places to eat- Vela 2(incredibly cheap), Ciclista (very good fish restaurant, but bright! what is it about the Portuguese and overhead lighting? ), Herdade da Corte( lovely country hotel run by the equally lovely Jorge and Adrianna) are a few. I’m very envious of you making the move- I just wish were brave enough!!! Enjoyed reading your blog. We are nomadic americans and plan to spend a good part of next year in Portugal. Thanks for sharing your insights, it is refreshing to find well written information about an area that is not geared for tourists. Our best wishes for your new adventure. Thanks for visiting and good luck with your trip here. First of all very best wishes to you and your family, I stumbled upon you blog and what great fun it is, I am the reverse a Portuguese working in London (I.T like you!! 🙂 I am delighted that you find my country great fun and are enjoying the experience, it certainly is a different pace of life, BUT if I may… please when you get the chance explore the rest of Portugal, my home town Lisboa and beyond the Algarve is most certainly not a de facto for Portugal. Thank you for visiting the blog and I am glad you have enjoyed it. We have spent some time in Lisbon and the islands of Madeira and Porto Santo but you are right that we have a lot more of Portugal to explore. In a few weeks we are going to visit Coimbra and some rural areas around Tabua – we are looking forward to our road trip! Thank you very much for your offer of any advice – I don’t know how long you have been in London for but I lived there for many years so the same goes for you if you want any suggestions for London! If you like Dona Barca you will love the dourada at restaurant Rocha Azul, Praia da Rocha, currently rebuilding. Hi, and thanks for the recommendation – we have a bit of a soft spot for Praia Da Rocha so will be sure to check it out next time we are there. Fix the link to this blog from the food and wine blog. It goes to a realty site (com instead of org). I was put off for a bit, until I realised it must’ve been unintended. Btw. Couldn’t agree more with your assessment of Botequim da Mouraria. If you happen to pass through Beja, try the Porco Preto at the Adega 25 Abril, Rua de Moeda 23. Inexpensive and delicious. Our intention was a less stressful life, but we’ve developed a strong interest in a self-sufficientish lifestyle, which is hard with six months of snow! 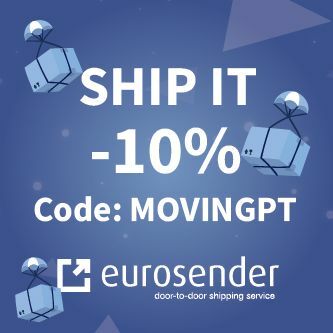 Now we are thinking we can make life even simpler…but that may involve moving to Portugal. Hence my interest – keep posting! By the way – the mozzies here are devils too. The Swedish mosquitoes love me. It’s bumps and itching all summer!!! Hi Memo and welcome to the blog. The easiest way is to page to the bottom of each page and select “previous entries” – after about 5 pages you will be back at the beginning. Thank you for telling me about the incorrect link from my other blog – it is my error and I will get right on to it. Good luck with your own plans and thank you for your recommendation is Beja. The mozzies SEEM to have left us alone for the last few weeks – maybe they have lost interest! I would be interested to find out if you end up coming to join us in the sunshine – Sweden and Portugal are two vastly different countries! Do you have a blog? Would love to hear about your move to Sweden. We have a property too in cabanas, I am going out for a bit in july and was wondering, do you know anywere that I can buy a foldable bike?? I know that that is such a random question!!!! hope you are enjoying life in Portugal! or maybe i have just heard them speaking about the place it definately rings a bell,. Welcome to the blog – yes we know Carvoiero, but it’s the other side of the Algarve to us – about 45 minutes away – nice place but I imagine it being VERY busy this time of year! Hi Nicola and welcome to the blog. We got our bikes in Continente – didn’t notice any folding ones in their range but next time I go in I will look for you. There is also another bike shop in Tavira further down the road that Restaurant Bica is on. Hello! 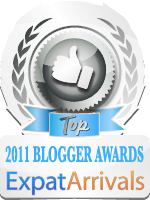 Just came across your blog via tripadvisor – what a terrific resource! I hope you don’t mind if I ask you for some suggestions. My family and I will be in Portugal for about one week in mid-August. We will be in Lisbon for 3 nights for a conference and then have 3 nights to explore elsewhere. We have a 10-month-old daughter and I was originally thinking we would go to Lagos and stay in one of the hotels there, but perhaps it is a bit too far for three nights? It looks like the train trip is 3-4 hours. Worth the trip? Or do you have any suggestions for something closer to Lisbon? We are hoping to stay near a beach and have access to a pool if possible. Easier with a baby. Thanks so much for any advice. Happy travels! Hi Adrienne and welcome to the blog. Your question is a tricky one due to the time of year. First off it will be HOT everywhere, so how much to try to do with a 10-month-old will need to take that into account! Lisbon itself will be quiet, as August is when the population of Lisbon descend en-masse to the Algarve. If you wanted to not travel too far, you could consider the beach areas around the outskirts of Lisbon – Cascais or the Costa de Caparica, both easy to access by public transport. It may be worth avoiding Estoril as there were reports of some gang-trouble there in last weeks paper. If you did come down to the Algarve it will be at its hottest, busiest and most expensive – so you may not see it at its best. If you went for that option, it may be worth hiring a car for a shorter journey and more freedom to get to the more tucked away and quieter beaches. As long as you avoid driving in Lisbon (which requires nerves of steel,) the journey down the A2 toll road is really straightforward – perhaps you could hire a car from the airport at the end of your time working and drive to the Algarve and back? Love your blog!! Gives me hope. 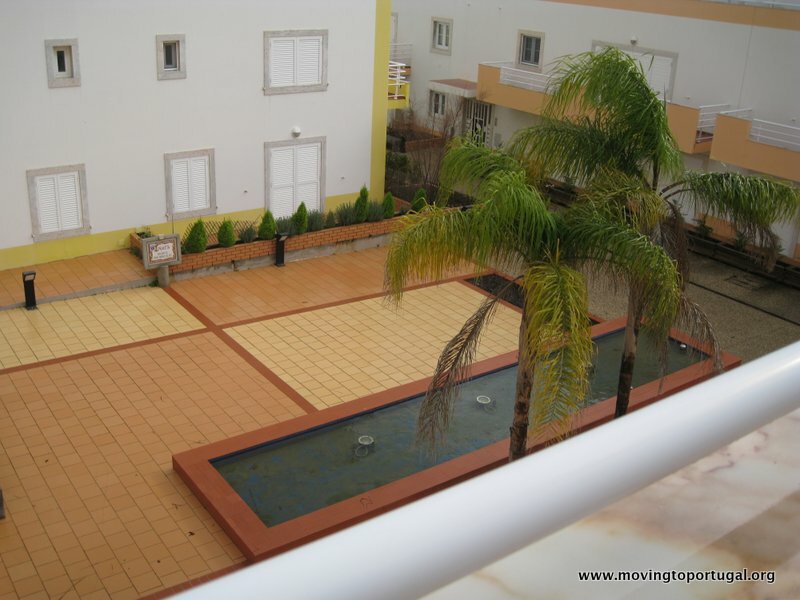 I just started investigating how to move to Portugal from the USA…. I am also learning Portuguese (not too hard for me since my original language is Spanish). I have a strong way of getting there but it will take forever, probably over 1 year….maybe more, with the logistics of everything (please read bureaucracy). Working on the equivalence of American universities studies before i can apply for residency…then a NIF, then a job….. ugh…long process…seems a lot easier for EU people, right? Is there something else I should know as a US citizen that might ease my moving there?? Please, keep the blog going. It’s inspiring! Thanks for visiting the blog and for your positive comments. Also, the very best of luck with your own move – stay in touch and let us know how it goes. There’s not much I can tell you about moving from the US as we are EU citizens so the rules are different. I do know that if you earn your income from elsewhere you will need private health insurance as you only get cover here if you are paying into the local social security system. I would suggest searching the expat forums as they have a lot of valuable information. I’m the editor of Expat Arrivals.com, a site devoted to developing comprehensive destination guides aimed at easing expat transitions abroad. Currently I’m looking to update the Portuguese section of the guide and was wondering if you’d be interested in sharing some of your expat insight. In exchange for contribution we normally give our writers promotional profiles where you can levy exposure for yourself, your blog and your business. I especially enjoyed your cost of living section by the way, very helpful! Good to hear that you are enjoying life in the Algarve. Like us, you made a wise move! Take a look at our website http://www.inspirationsalgarve.com for more ideas on what to see/do etc. We too are planing moving to Portugal, i lived there when i was a child. Now married with kids..:) We are moving to care for my parents near Aveiro. Our family is super excited and me…well, i am on pins and needles making sure everything sells and runs smoothly. Your blog explains a lot and the read is an excellent boost of moral to keep going. Things i will not miss…shoveling snow! traffic, rush rush rush, stuck up neighbors oh yes and did i mention shoveling snow…..
Have been following your blog since the start and I really enjoy it, so I hope you do not find the following inappropriate. I have two return tickets from London Luton to Faro departing 04/02 and returning 08/02 which I’m unable to use, so if you know someone who could use them could you let me know? According to the Easyjet website, it would only cost them £30.00 to change the names on the tickets. Welcome to the blog and thank you for reading. Good luck and best wishes for your own Portuguese adventure! It’s always nice to hear from people who have followed our journey from the start. I’ll keep my ear to the ground with regard to the tickets, but nothing springs to mind. Unfortunately we are in the UK for a few days exactly then, so we can’t use them to entice any friends over! Nice reading thankyou for the considerable time you have spent collatinmg some really useful and human information. My wife Sandy and I bought our house in Manta Rota (not far from you) 3 years ago and have enjoyed the area, people, food and fantastic beaches ever since. 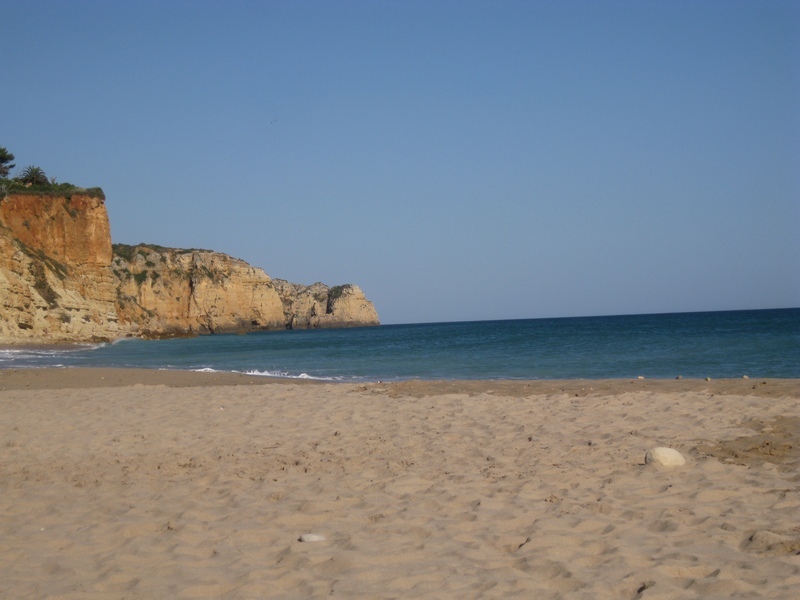 We spend several weeks a year at manta and have always loved the Eastern Algarve. We find the pace much slower, the costs a little less than other areas and the people, well just delightful. My Portugese is coming on and I find the response of the Algarvians is always friendly, helpful and patient when trying to get some conversations going. Football is a favourite and the Gorillas (Oleanese) just down the road are the team to support, many many ex pats attend and its always a good time had. We arrive later in February for our first visit of the year and look forward to enjoying some more of the fantastic Alagrave once more. Keep on with the blogging, really good read, thankyou. Pat – Hi! Thank you for reading the blog and for your kind comments. We were in Manta Rota just the other day and I sometimes walk along the beach from there to Montegordo (quite a trek) before meeting my wife and having a drink! 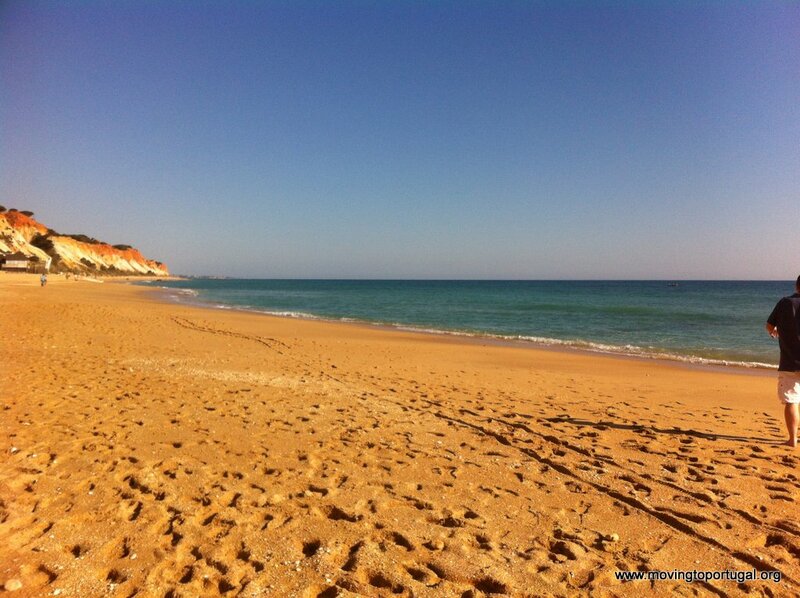 We too love this end of the Algarve. Keep in touch and have a great holiday later this month. An inspiring discovery, this blog of yours! Inspiring us to make the move that we’ve thought about for a while – even with your recent tales of the chill horrors of wintertime. I’m convinced, my wife is still dithering – and terrified – but your blog is going to be required reading when she gets home from work tonight and she’ll be convinced. Must just say too, part of the inspiration is because it’s beautifully written, and the the whole site is so well-designed and fresh-looking. Welcome to the blog and thank you for your very kind comments. I enjoy your blog – very interesting! I am Indian, married to a German who lives in Lisbon. I will be joining him in a month. I have lived in the US for 10 yrs before moving back to India to work in the Healthcare sector. Im looking at this as an adventure – giving up my job here (unless I can continue working ‘on-line’) and looking for a new opportunity in Portugal. Unlike my husband, I do not speak Portuguese (as yet!) so this is going to add to the complexities of landing a decent/good job. Any suggestions would be great!! Many thanks! And keep blogging!! Thank you for reading – glad you enjoy the blog. Not sure what suggestions I can give you beyond the fact that opportunities are few and far between in these parts at the moment unfortunately, so learning Portuguese is extremely important if you need to find local work. Other than that, go for it! I am a web developer from Cambridge UK. Myself, my wife and 3 children are seriously considering abandoning the UK for a new life in Portugal. I discovered your blog via a post about the things you miss from home http://www.expatsportugallife.com/latest_posts_portugal/10-things-i-miss/ (very positive). Our children are aged 13, 11 and 3 so my initial thoughts are to find an International School for the two oldest and place the youngest into a Portuguese school seeing as she is young, she’ll probably pick up the language a lot easier. We have been advised to consider Silves as a potential new home however I am really struggling to find long term properties to rent at reasonable prices. Everything I come across appears to be holiday lets. Like yourself, I run a web development business in the UK and will continue to do bit of work remotely so finding a cost effective property (ideally with a pool) close to a school is essential. Can you give me any pointers as to where I should be looking ? Also, out of interest what programming languages to you write in ? I’d just like to sing the praises of the Casa Fernando Pessoa in Lisbon. The museum is well-equipped (there’s a library on the ground floor and a lecture room upstairs) and there are all sorts of memorabilia of Portugal’s greatest 20th century poet. In downtown Lisbon there is also a statue of him outside his favourite watering hole. You leave with some idea of his heteronyms and his prodigious output of poems (in French and English too). Pessoa was a chain smoker. He liked his booze and led a rather lonely life, dying of cirrhosis. A trunk full of his works is still being examined by experts. This blog is great – I just stumbled on it whilst searching for something entirely irrelevant but am really glad I did. My wife (who is Portuguese) and I made the move to the Algarve in March this year and I can relate to so many of your experiences regarding the language learning and ‘wobbles’. It is uplifting to hear others in the same boat. 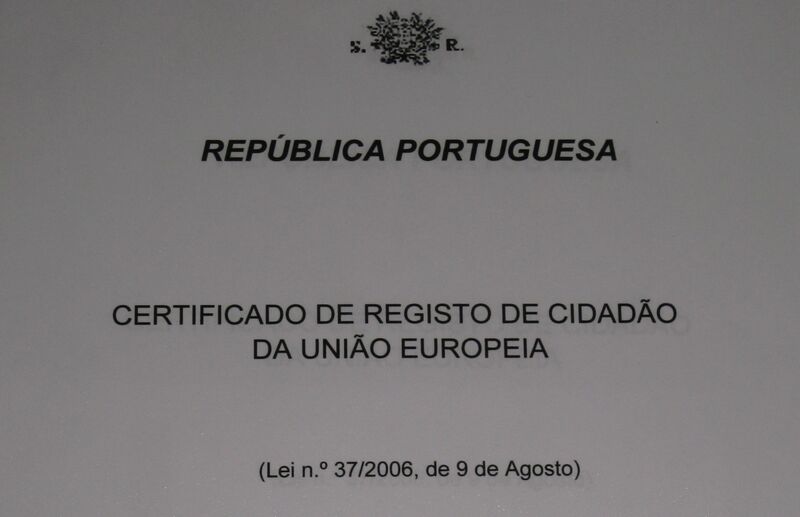 We will be moving to Lisbon in August 2012. Who is the best person / company to speak to regarding long term rentals. 24 months. We are looking so forward to our move. we have been coming to Lagos for 6 years now as we have a place there. our lives have changed in lots of ways in last 2 or 3 years. we are aged 42 , 40 with kids of 8 and 6 this year. we want a change for lots of reasons. we have sold our business after working very hard and i have had health problems. all we think about is moving to lagos. we have 2 properties here in the uk and have put them up for sale. when one sells we want to come over. we have read lots of webs inc yours and looked at schools. we are booked in to come over for the usual hols in august but this time just want one way tickets. we dont have to work as i still will be being paid from my old co as a consultant. can we just get one way tickets? should we? what advice have you got for us? is there anything we need to do legally? any advice would help. we could also do with your accountants nae please. we need to get away from here!!! Welcome to the blog and sorry for my slow response. There’s nothing to stop you getting one way tickets – it’s once you’re here that the fun starts in terms of residency, driving licences etc. Have a look at this post for an idea of what that’s like, but try not to let it put you off completely! Thanks for writing this blog, really interesting! We’ve got about a month to go, if everything goes well with the house sale. And I’m so nervous!!! I keep imagining any ache or pain is something mega serious and I’ll end up in the hospital or worse and won’t be able to go!!! It’s good to read your blog!! I came across your site and love the adventure you and your wife experienced with the move. I was wondering if you’d be interested in reflecting on a moment of your life through our site (please know we make no money from the site). What type of story could you submit? Any moment, small or large, that you feel inspired you or perhaps couldn’t forget…something that made you thankful or changed your perspective. I think a couple’s perspective on an experience such as yours would be a great voice on the site. Any thoughts or questions, please feel free to ask. Just read your book and found your blog! We’re going to spend Jan and Feb in the Eastern Algarve with a view to upping sticks from the UK and living there permanently if we think we will fit in. Both retired with family in both the UK and France so it would seem to make sense so thanks for the wealth of information and advice you’ve provided.